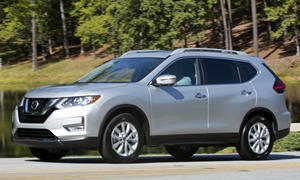 Does the A/C in your 2014 or later Nissan Rogue cool sufficiently? I have a gray 2014 SL with panoramic roof and the AC has to work hard to keep the vehicle cool. Being in the Deep South doesn't help, but seems to me the AC unit is too weak for the vehicle. Thanks. The AC's in all my nissans will freeze you out including my 15 rogue with the paroramic sunroof. Make sure you have it on recirculate and if so, have it checked out. You may be low on r134. Btw , i live in south texas, gets hot here.